Tim "Java" Weis '71 appeared outside the Kappa Sigma dining room windows waving a pizza -- taunting those who were suffering through some nondescript gruel. Suddenly a torrent of water -- a trashcan full to be exact -- crashed down on Java, to the delight of those he had been mocking. Apparently, someone knew Java was coming. That's a key moment which has stuck with Rob "Hampy" Hampton '73 for about 30 years. He also recalls, "the camaraderie -- cutting up around the house at meal times and just sitting around playing cards or watching TV -- killing time after meals." As an undergraduate, he was active in intramurals. 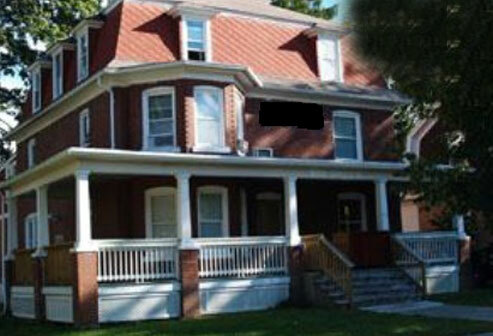 "Kappa Sigma was great. We had one of the best bowling teams, and we were pretty reasonable in just about everything. We had great swimmers and divers. We did well in the Tri-Delt Anchor Splash." 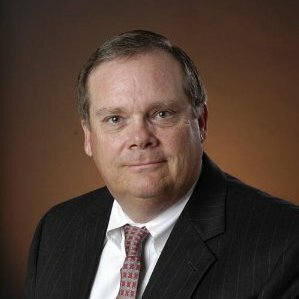 Hampton now works as Vice President of Finance and Accounting for Oil States International, a New York Stock Exchange company. He got some of his leadership training at 255 Highland Avenue. "I was GM in 1972-73," Brother Hampton said, "and just working with the guys really does help you prepare for what you face in business. At that time -- late '60s and early '70s -- there were a lot of different people with different views. I learned how to get along, work on teams and organize things. I think it helps your personal development from the standpoint of working with people and having fun and having a common objective. That happens a lot in business." Brother Hampton said he joined Kappa Sigma because, "I did not know a lot of people on campus. It was an effort to meet more people. I knew Charlie Mazza '70. He was the one guy I knew in any fraternity, and I liked the people I met when I rushed Kappa Sig." Homecoming 2001 was a significant experience for Hampton, especially the formal meeting. "I had forgotten just about all of the ceremony," he said. "It brought back memories of what it's all about." He acknowledges, however, that most undergraduates probably didn't fully appreciate the meaning of the ritual and the creed. "We were all kind of clueless back then," he said. Hampton said the fellowship of Kappa Sig is also important: "My wife and I met Ed Gorkes. I remembered Mark Breedlove '78 from my undergraduate days. I stay in touch with John "Wheel" Wilchek '73, John Wray '73, Carl Bartuch '75 and Brad Boyle '73. "Wheel was my roommate and he was a piece of work back then," said Hampton. "He would pull an all-nighter to study, and then he'd clean the room instead. He was a great roommate, but he was easily distracted." Brother Hampton would like to know where Fred Nettles '73 is these days. "He immediately dropped out of sight after college. Nobody's ever heard from him. I'm convinced he's not living in a cave, we just have to figure out where he is." Hampy married Kappa Sig Little Sister Jenni Bryan, who was part of the first Little Sister class, and one of four who ended up marrying brothers. The Hamptons have two children -- John , 21, a Kappa Sig at Texas Tech; and Becky, 17, a junior in high school. Jenni, who is also a member of Alpha Xi Delta sorority, is president of the assistance league and past president of Clear Lake Area Pan-Hellenic group in South Houston.